With mere two trading sessions, including today, for the stock markets remaining for the 16th Lok Sabha elections 2014 to get under-way, I would like to present some interesting statistics and comparisons of the last five Lok Sabha elections in India in comparison with the BSE benchmark index, the Sensex. Over the last few months – the markets have been in limelight in anticipation of a stable government at the Centre in India – following two decades of political instability and slowdown in the economic growth. The present scenario – opinion polls, are indicating a likely victory for the Narendra Modi-led BJP government, and the market players too are banking on the same, with the Sensex up nearly 3 per cent in the last one-month and up nearly 9 per cent in the last three months till date. In this article, I shall present the Sensex comparison with the pre and post-election period in India. Firstly, as seen above, we shall see how the BSE Sensex has performed, one-month and three-month prior to the starting of elections in India. Secondly, the Sensex performance during the election period, and lastly, how the Sensex performs – one-month and three-month post the election verdict. Please note, we will be excluding the impact of any other factors that affect the stock markets – like the economic data, corporate news and international events – in this article. As of now, we have seen how the BSE Sensex has performed ahead of this year’s elections. Now, let’s go back in history to the 2009 polls. The BSE index seemed to have recorded the best performance during that election year. The Sensex had zoomed a whopping 26.2 per cent and 21 per cent, in the one-month and three-month, prior to the election period. Followed by a steady 6.5 per cent rally during the election phase, and ending it with a thumping 26.8 per cent and 29.1 per cent, surge in the post-election one-month and three-month period. In totality, the Sensex had soared over 71 per cent in the seven-month period around the election time. From the elections perspective – what probably drove the markets – was what the masses expected and what the results were after the polls. During the pre-election phase, opinion polls had indicated a likely second term for the Congress led UPA-government, with the numbers improving slightly in favour of them. Let me explain… In the 2004 elections, the Indian National Congress (INC) had won 218 seats out of the 543 seats. In 2009, the INC was expected to better the number. However, eventually what happened was much more positive for the INC than expected, the INC won 262 seats as against the majority of 272 required. This number was far ahead of any opinion polls. Hence, the markets gave a thumbs-up to the verdict, and the Sensex almost hit the 20 per cent upper circuit on the first day of trade post the election verdict. Now we move further back in time to the 2004 polls – during that time, the Sensex had declined 2.7 per cent a month prior to the elections, but gained 6.6 per cent in the three-month period. 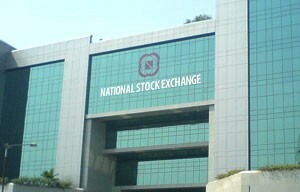 During the election period, the Sensex had shed 4.2 per cent. The fall was extended post the election results, with the Sensex down a solid 11 per cent, both in the one-month period and three-month time frame. What may have caused the fall in 2004, was that the NDA government was expected to win, but Congress emerged as the single largest party and formed a coalition government at the Centre. Prior to 2004, in 1999 – the BJP government emerged victorious as the single largest party by winning as many as 270 seats. The markets were anticipating a BJP win, hence the Sensex showed a positive trend prior to the elections and post the elections. In the one-month and three-month prior to the elections period, the Sensex gained 2.4 per cent and 16.5 per cent, respectively. However, the BSE index reported flat to marginally negative growth during the election period, and followed it by a 5.2 per cent fall in the one-month post-election verdict. 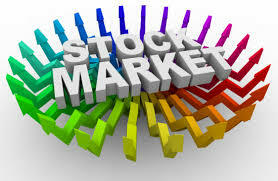 However, the Sensex managed to gain as much as 14.3 per cent in the three-month period post elections. Back to present, the BSE Sensex has been in a positive uptrend recently. However, what matters are the elections results, which can set the future tone for the markets. In past as seen above, we have seen that the markets tend to react favourably or negativly – as and when they are positivily surprised (read year 2009) or dis-appointed (read year 2004). 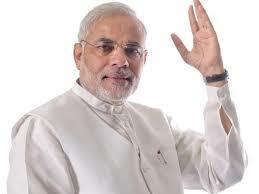 This time Elections 2014 – the hype-the-hope is all for Modi victory. 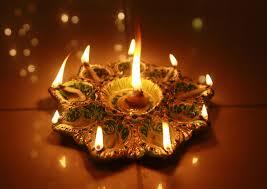 In case Modi-led BJP government wins, we could witness a sharp rally in the markets. However, if there are any surprises or dis-appointing outcome from the polls, the Sensex may react negatively. Time to keep our fingers crossed.